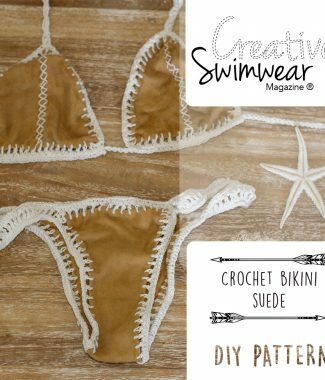 Reversible Crochet Lycra Bikini Pattern - Creative Swimwear Magazine and Trends ! 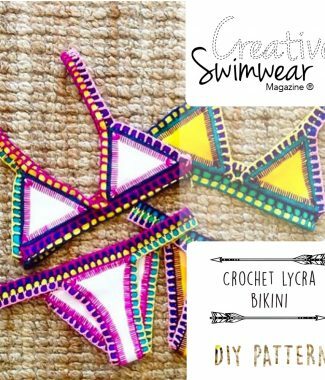 Make yourself this beautiful reversible lycra and crochet bikini design, charts and written instructions provided! After Purchasing You Get: One 07 page crochet pattern that you digitally download as a PDF file so you can start your project immediately! The PDF crochet pattern provides full color step-by-step illustrated instructions. A PDF reader is required to view and print the files (example: Adobe Reader or Preview for MAC). The download link is received immediately after the transaction is complete. Print copies are NOT available. The suede patterns are in A3 paper size!